It's that moment again - time for some attention to solo bass albums, and we have some great stuff to present, in a broad spectrum from classical to noise, with some jazz and even soundtracks in between. It's also an unbalanced list, or at least ungrateful list, because to be on the same review list with bass greats as Stefano Scodanibbio and Peter Kowald is at the same time an honor as it can be unfair. For fans of the double bass, I can also highly recommend to read the essay by Håkon Thelin at the end of Paolo's review (all the other reviews are by me), and essay that gives great insights in the evolution of the use of the instrument in the last decades. The title phrase of this review - "“to allow the contrabass to sing with its own voice” - comes from Thelin's essay, and we have generously taken it over for this set of reviews. Another great recent solo bass album is Pascal Niggenkemper's "Look With Thine Ears", recently reviewed on this blog. What differentiates a mere musical tribute, even if enjoyable, from a deep investigation of one's role as a musician in particular and on the reconfiguration of the boundaries of an instrument in general? The album here describes the deep cultural relationship between the two musicians through Thelin’s reinterpretations of two nodal works by the Italian composer, three intense duo - one on a written score and two resulting from improvisations created during a 2009 Norwegian tour, plus the surprising “& Roll”, a previously unreleased interpretation by Scodanibbio of Jimi Hendrix's "Foxy Lady". 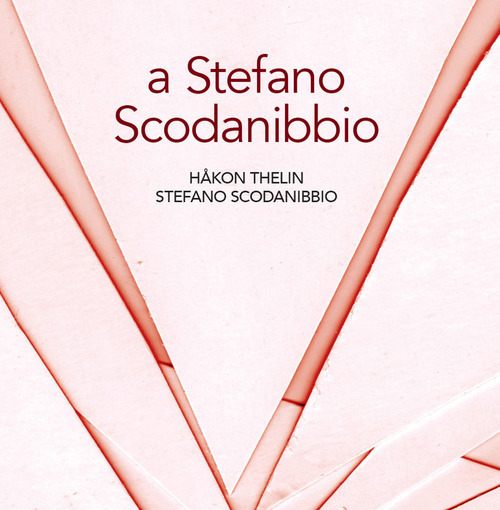 How much Scodannibio’s vision impacts Thelin’s approach to the instrument is striking from the very beginning of the album as in his interpretation of Scodanibbio’s arrangement for Luciano Berio’s "Sequenza XIVb for cello" with the clusters of flageolets played with both hands pouring out of every part of the strings. You could say the piece starts as a real Scodanibbio performance then evolves as purely Thelin, especially if you’re familiar with the Norwegian musician’s own voice from his previous solo works and through his researches with the very interesting trio POING. You start by recognising to whom Thelin's indebted to, yet and you finish by appreciating the influence on someone own voice. But this is, in the end, what the work of a great artist should stand for. Not just in music. “Da una certa nebbia”, the second chapter of the album is a duet between both bassists, and it is probably the best example of how this document goes beyond the simple master/disciple relationship. Scodanibbio leaves Thelin the role of the first bass, conceived by his own personal style and approach, and he keeps the second voice for himself, delicate and meditative, an ideal position to follow a friend who grows stimulated by your suggestions. The two shorter improvised interplays of the album recount indeed of a fruitful musical friendship and they are named after, as Thelin reminds us, some of Stefano Scondanibbio’s favourite enjoyments: cigarillos and whiskey. Calling he booklet that comes with the record 'liner notes' would be an understatement, because the text has clearly the same weight as the recorded part, a complete essay analysing Scodanibbio’s counter bass concepts, his legacy for the evolution of the instrument and an approach of many musicians to come. I will patently wait for Håkon Thelin to give us his interpretation of Scodanibbio’s magnum opus “Voyage that never ends”. 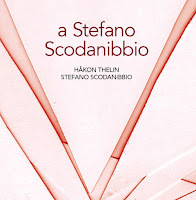 You can read and download Håkon Thelin's 12-page essay on the double-bass and on Stefano Scodannibio's influence here. 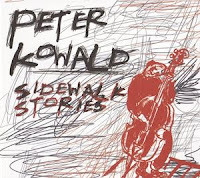 It is a little unfair to review a Peter Kowald double bass solo album in a list of solo bass performances by other musicians. His skills and musical vision are so powerful and unique, and he has probably influenced and inspired all the musicians listed below, that any comparison with them is quite impossible. That being said, this album is worth mentioning for Peter Kowald fans and for all lovers of free improvisation. Amazingly enough, this album is the live and improvised soundtrack to a movie from 1989 by Charles Lane, called "Sidewalk Stories", a silent movie that pays hommage to Chaplin's "The Kid". Kowald explains that he wanted to accompany the movie and performed it live some ten years later on April 27th, 1999 at Central House of Artist (Moscow), after having received the agreement and support of Lane. It's amazing to listen to the music now, without the film to watch, yet strangely enough it works beautifully, with Kowald's inventive bass creating dramatic imagery that you can almost follow when dialogues move to scenic shots to moments of high tension or sudden plot twists with drenched in an overall bluesy atmosphere. We've written about Frangenheim before, whether playing solo, as on "The Knife Again", or in duo with trumpeter Natsuki Tamura on "Nax". 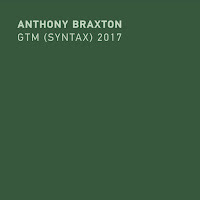 On "Talk For A Listener", he goes far beyond conventions, getting rid of any foothold 'a listener" may have, but forcing him to go into hitherto unheard sonic realms, which vary between disconcerting and welcoming, between almost beyond avant-garde to moments that are almost classical. 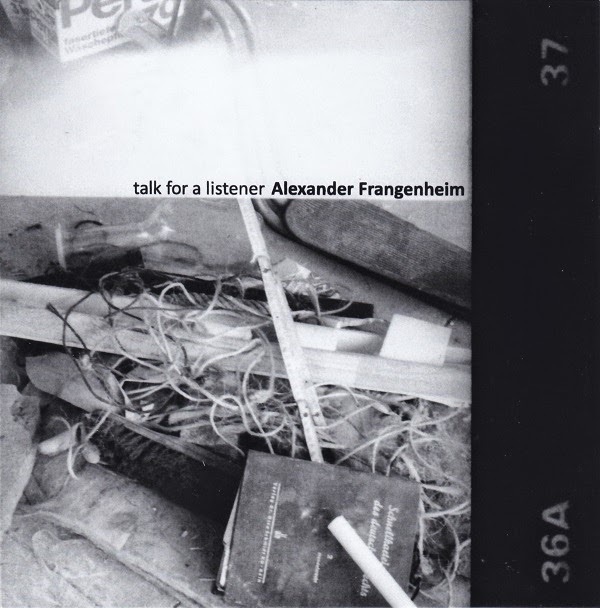 Frangenheim really delves deep into the moment, extracting sounds from his bass without actually seeming to care for his audience, despite the title, but then the realisation hits that maybe he is the listener, and his bass is doing the talking, revealing new possiblities and sounds, new approaches, new ways of weaving silence into internal monologues. Who knows? This is not easy listening, but requires concentrated attention to follow the strange shifts and changes, the muted, screeching sounds, the evocated distresss, but also to fully appreciated the beauty of the resonating strings, the beauty of the bowed playing and the moments of peace of mind. With the very first notes, the bass sounds warm, deep, resonating, jazzy, repeating a simple phrase that is quickly dissolving without disappearing in a broader improvisation, that gradually gains in intensity, complexity and power. 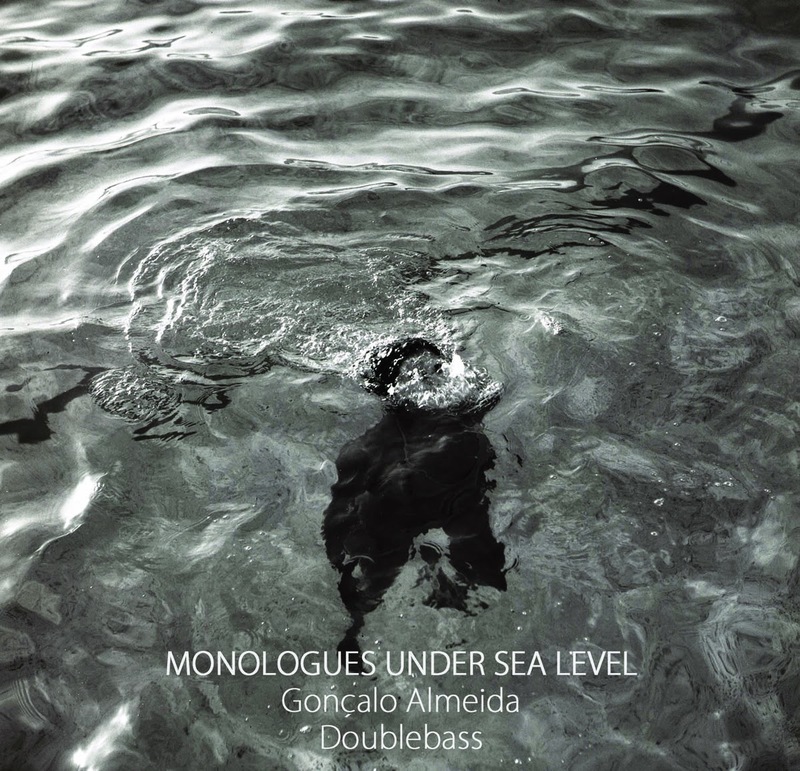 Your host is Portuguese bassist Gonçalo Almeida, frequently reviewed on this blog with Albatre, Lama Trio, Tetterapadequ, Spinifex, who now invites you into his world under sea level. The second monologue is a busy arco piece, quite agitated and emotional, with lots of big intervallic leaps between high gut-wrenching tones and deep counterpoint. The third monologue is a fast pizzi piece, with rhythmic changes and a quite captivating development. On the fourth, the bow moves slowly on various strings at the same time, creating an orchestral effect that is quite compelling and beautiful. The result is quite strong and varied, but also without pretense, and may also be of interest to other people than bass players. 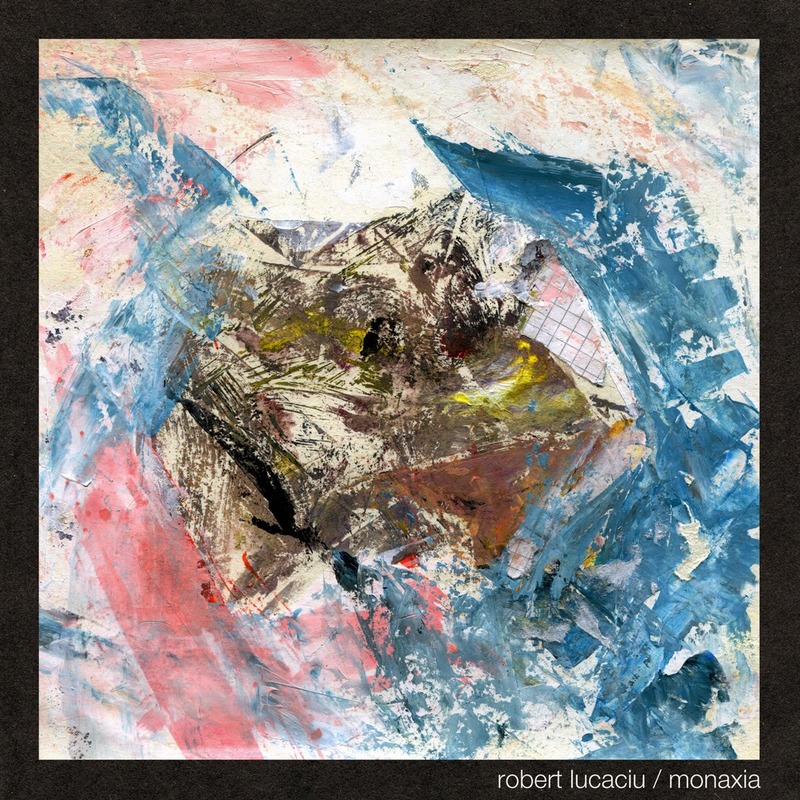 This is a great find : a strong solo bass performance by Robert Lucaciu, a German musician who is originally trained as a classical cello player, active in chamber and sacral music,but he found his real place in experimental music and free improvisation. 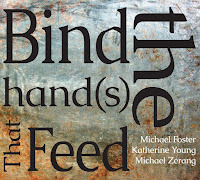 On twelve relatively short pieces, he gives an overview of approaches and ideas that go beyond instrumental skills, even if most pieces are concentrated around a specific technical angle, whether the velvety arco on "Argon", the classical-into-dissonance of "Knoten", or "Mobile" with its high whistling flageolet sounds, or "Geirt" offering almost percussive muted arpeggios, or heavy bowed chords on "Geseutzt", Lucaciu still makes it a musical adventure, demonstrating more than just skills, but making the sounds speak. It is intimate, compact and with an excellent sound quality too. OK, maybe this is not exactly a solo bass album, but it's a solo album - or actually an audiocassette - by a bass-player. The Australian has become known in the meantime for his minimalist approach, as on his previous album "Why Is There Something Instead Of Nothing", yet here he goes a step further, expanding his bass sound with 'neighbouring objects', in this case accordion, percussion, piano and field recordings, all played by Majkowski himself, even if the bass remains the dominant instrument. 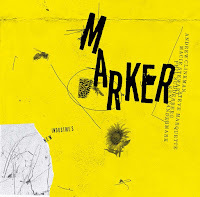 Majkowski creates on this two 17 minute compositions a dark and haunting monotonous soundscape, resulting from highly repetitive bowed phrases, with overdubs on the first track of bowed basses, and on the second track some eery piano notes and slight percussion add to the feeling of dread. The great thing is that there is a lot of change going on, even if all sounds are built around a single tonal center, resulting in quite intense music, more in line with the minimalist music of Terry Riley than with jazz, but I assume that readers of this blog don't care too much about genres, as long as the music is good, and that is definitely the case here. For Paolo Casertano's opinion of the same album, read it here. 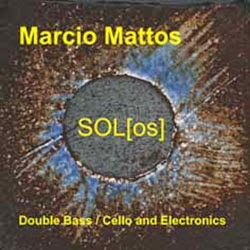 Marco Mattos' album is of a totally different nature, often with unadultered sound (the electronics are really limited), very authentic in its search for sonic expressivity and adventure, whether on double bass or on cello. His sound is fresh, intimate and precise. 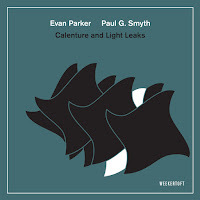 All the pieces were recorded over a ten-year timespan between 1998 and 2010, and that is noticeable on the album, which reduces the musical coherence a tiny bit, but less than you would have expected, resulting in very recommended listening, especially the twenty minute long live piece that ends the album, which captures the essence of what came before, with more maturity, a stronger presence and more room for expansion. Polish bassist Jacek Mazurkiewicz offers us this fascinating set of eight solo pieces in an eclectic style of chamber music, electronics, experimental, free improvisation and even folk elements with lots of overdubs resulting in layers of sound which vary between the lyrical and the dramatic, the disconcerting and the surprising - such as the sustained synth-like layers of sound which could have Klaus Schulze proud, the repetitive and the free form. This is noise, and this should be played extremely loud. That's I guess how Australia electric bassist Cat Hope would like it. 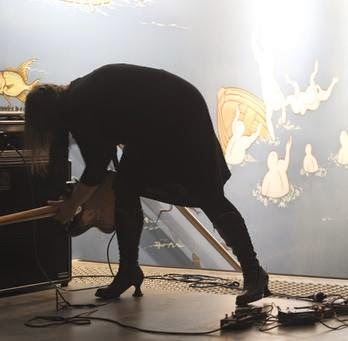 She uses all kinds of loops and amps and tools to extract the sonic equivalent of tornadoes, hurricanes, typhoons, whirlwinds and other tropical cyclones from her instrument, washing away all distractions and wandering thoughts you might have. It is entirely something else, which by itself is already an achievement. In this context I would also recommend Sebastian Gramms's "Thinking of ..." (reviewed here: http://www.freejazzblog.org/2015/02/the-masters-of-double-bass-ii.html). 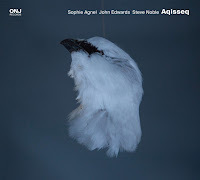 It is also based on Scodanibbio's work and includes a suite of a 11-bassist-orchestra and 11 solo pieces (by Thelin, Barry Guy, Joelle Leandre etc.). Very nice reviews, by the way. I can only support what you say on Peter Kowald and Mike Majkowski.